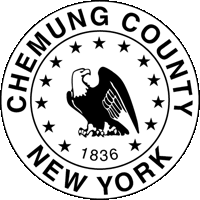 Chemung County is a county located in the U.S. state of New York. As of the 2010 census, the population was 88,830. 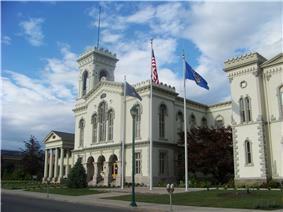 Its county seat is Elmira. Its name is derived from the name of a Delaware Indian village (meaning "big horn"). In presidential elections Chemung County tends to vote Republican. It voted for John McCain a 1.23% win over Barack Obama. In 2012 Mitt Romney carried the county by 2.33%. ^ "Elmira Christian Academy". Elmira Christian Academy. Retrieved 8 May 2013. ^ "Welcome-Holy Family Junior High School (Elmira)". Diocese of Rochester. Retrieved 8 May 2013. ^ "Welcome-St. Mary Our Mother School". Diocese of Rochester. Retrieved 8 May 2013. ^ "Corning Community College Facilities". Corning Community College. Retrieved 8 May 2013. ^ "Our Libraries". Chemung County Library District. Retrieved 8 May 2013.